Rob Kearney said it best. 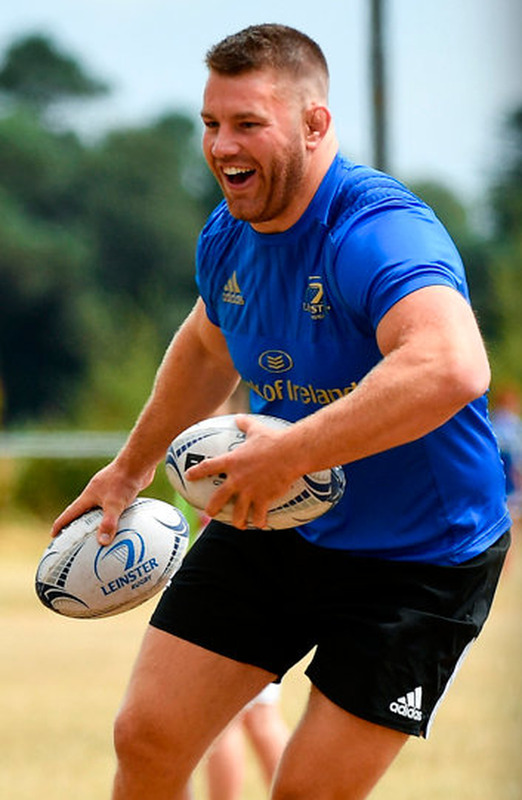 Seán O'Brien will be "like a caged animal" when released from the captivity that is his rehabilitation from another serious injury. "It will bring a huge amount of energy to the squad and it will give us another impetus going forward," said the Leinster and Ireland full-back. "If he's back and fit and playing, he'll be a huge driver in improving the team." It is integral to O'Brien's game that he will look to take the frustration of missing out on Ireland's Grand Slam and Leinster's Champions Cup and PRO14 League on the bodies of those who stand in his way. After all, that is just how the Tullow Tank rolls. "I haven't done too much on the field yet," said the decorated flanker. "I'm probably in better shape than I have been in my life. "I should be in the best place possible that I have been in my career when I come back." That will come as sweet music to the ears of Leo Cullen and Joe Schmidt. Then again, they wouldn't expect anything else from a born winner. The continuous nature of the 2016/2017 season put O'Brien into a compromising position at the end of the Lions tour to New Zealand. He had to make the choice between managing his shoulder or seeing a surgeon's knife. In the end, the sacrifice of missing out on big matches in October and November was not made. The lure of big time European and international rugby was too seductive to resist. The input into the series draw against the All Blacks probably cost O'Brien three trophies closer to home when his shoulder gave way. There must have been demons dancing in his head as his club and country marched gloriously through last season. "It was similar to the Ireland thing in that Leinster were going so well," he stated. "In the background, you're trying to add a bit of value to the set-up and make sure you have the lads prepared as best as possible. "But, yeah, it was disappointing to miss out on everything," he added. "But, it was great to see the transformation of some players, younger lads getting through and getting to that place where they wanted to get to." The strides taken by Dan Leavy and the imminent return of Josh van der Flier have put O'Brien in the position where he has to earn his blue and green shirts all over again. And that's fine by O'Brien. The plethora of injuries that have stalled his seasons have never dented his self-belief. "I'm back on the pitch hopefully next week or the week after," he said. "I'll then take it from there and see how the body is then. "I know I've ticked every box. I haven't done anything that will impede me in any way coming back. "I'll have done everything I could have done to be as fit as possible." "Everything is in the right place at the minute. Conditioning is good and strength is good." The Carlow man's body will never be what it once was given what he has put it through. Fellow flanker Sam Warburton knows all about the pain having recently been forced into retirement. "There is obviously wear and tear things there. That's a fact. Everyone has them," admitted O'Brien. "It's just about getting all that stuff as strong as possible." Then, O'Brien can be uncaged and let loose.